There are a variety of different industries out there that use large factories to produce their products. For the people who run these factories, having the right safety equipment is a must. If you own and operate a factory like this, you will have to take the time to ensure that you have the proper equipment in place to keep your employees safe. Failing to get the right equipment can lead to a variety of issues along the way. Here are some of the things that you need to ensure are in your factory to keep everyone safe. One of the main things that a factory needs is a good set of safety light curtains. When there is machinery present you will have to find a way to keep it from injuring your employees. By putting a set of the light curtains up, you will be able to keep the machines from running when movement is detected. When it comes to getting these things installed, you will have to find the right professionals to do the work for you. They will be able to get them installed and working in no time at all. When trying to offer more protection to your employees, you will have to take the time to put up some guard railings. Typically, these railings are put up to keep things like forklifts from hitting valuable machinery. They can also be used to keep employees out of harm’s way. When installing these railings, you will have to make sure they are anchored down properly and that they fully cover the area they are installed in. With the right amount of professional help, you will have no problem getting the right railings installed in a hurry. Being prepared for any on the job accidents is important. In order to make sure you are fully protected, you will have to take the time to ensure you have first aid and eye wash stations. By having these stations, you will be able to minimise the injuries done during the event of an accident. Be sure to consult with safety professionals to find out more about where to put these stations and what needs to be done to avoid getting fined. The amount of time you spend on finding out this information will more than pay off in the end. 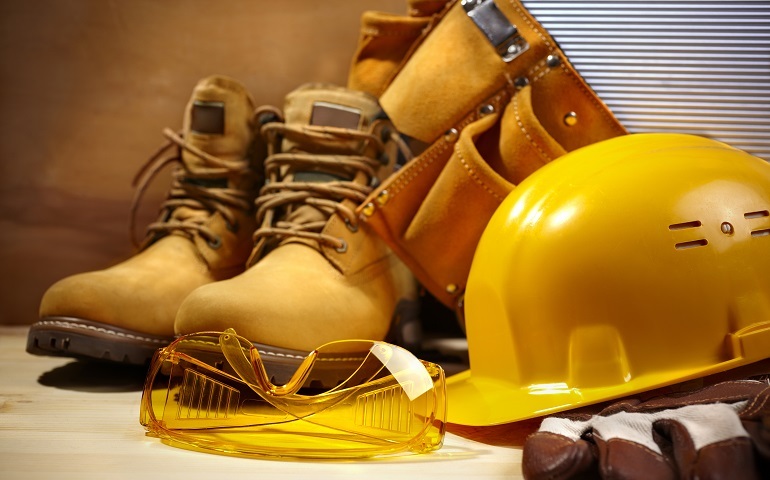 Investing money into quality safety equipment will be well worth it considering how beneficial it can be.